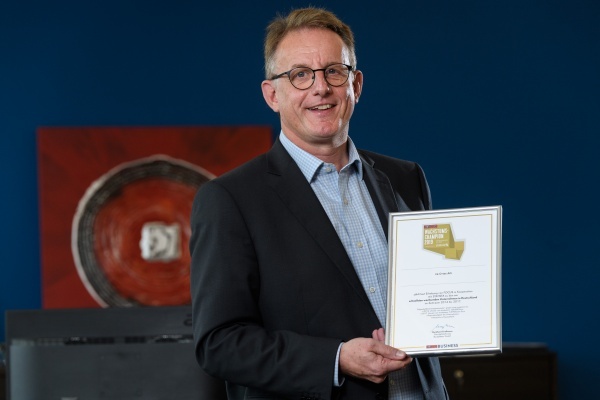 va-Q-tec is among the “Growth Champions 2019”. This is the result of a study by the German news magazine Focus-Business. Together with the data company Statista, those German companies have been identified that achieved the highest percentage sales growth per year from 2014 to 2017. During this period, va-Q-tec increased its turnover from 18.3 to 46.9 million Euros, an average growth rate of 37% per year. This puts the company in 11th place in the category “manufacturing (excluding automotive, mechanical engineering and plant construction)”. Taking into account the size of the company and the absolute growth in the defined period, va-Q-tec would even lead the ranking in this category by far. The list of growth champions includes both privately owned companies and listed companies. Those have to act independently, are no subsidiary and have their headquarters in Germany. Another criterion is the minimum turnover of 100,000 Euros in 2014 and 1.8 million Euros in 2017. The candidates for the competition were filtered out of more than 2 million entries in the commercial register.